This color periodic table wallpaper has everything! Each cell contains the element’s atomic number, atomic mass, element symbol, name, electron shell populations by energy level and electron configuration. The element symbols are color coded to reflect the element’s state at room temperatures. Black for solid, blue for liquid and white for gaseous. Each cell is colored to reflect the element group of the element. The color legend appears along the bottom of the image. The full-sized image is 1920×1080. This makes the image suitable for a widescreen wallpaper on any HD device. Click the image above to download the full sized image. Printing this table is easier with the PDF of this table. Set your print options to ‘fit’ and ‘landscape’ to make it fit on a single page. If you prefer a poster sized print, choose the poster setting to print across several sheets of paper. If this table is too bright for your desktop, try this version with a black background. Download your favorite periodic table with everything today! If this periodic table wallpaper isn’t exactly what you are looking for in a periodic table wallpaper, we have a large assortment of other tables to choose from. Mate, I really love this table. You’re pretty damn good at putting these things together. If this table also had Melting/Boiling Point, Atomic Radius & Electronegativity (Pauling) down the left side of the cell & oxidisation states down the right, it would easily qualify as the best PTable on the web. This periodic table is by the far the most satisfying one I ever found on the web!!! Thank you Todd for you great work!! Also shall we mark radioactive element and synthetic element? If we introduce too many signs it might make the block looks crowded. I would suggest we only add radioactive signs( ’cause I think that sign is pretty cool…) and mark each synthetic element with a red atomic number. Again thank you for your great work!!!! Well I just saw your oxidation state table and valence charge table! Awesome! For a second thought, oxidation states might be too much for such a small box, most common valence charge should just do the job. 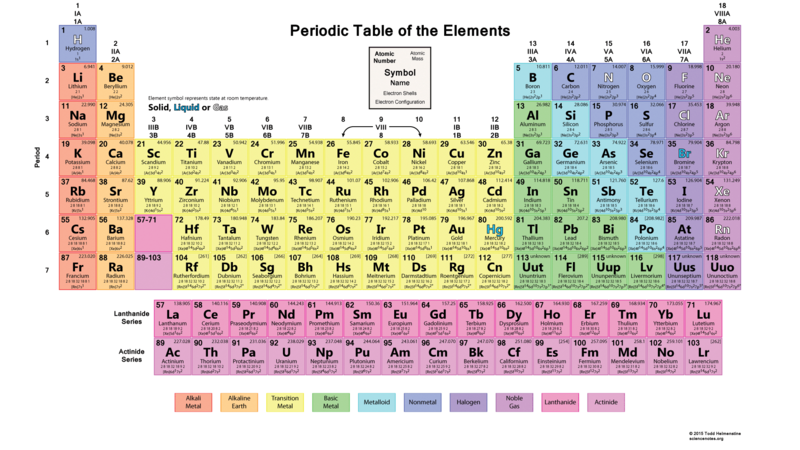 This periodic table is great but it doesn’t have the electronegativity of the elements which is a little disappointing but I love everything else about it so thanks but electronegativity values would’ve been nice. The newer tables on the site all have these elements. Now the unnamed elements have been named, will this be updated to have them listed as this is my favourite table and would love to have an up-to-date copy for printing. This table was updated back in February. 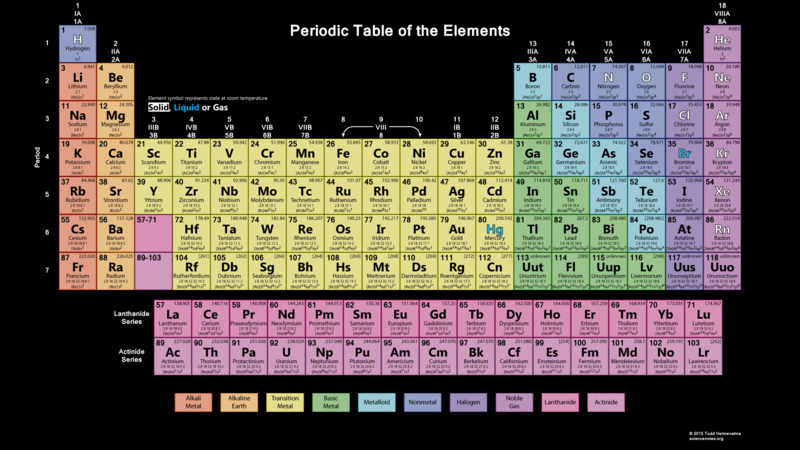 Check it out at Periodic Table Wallpaper With All 118 Elements.